WWDC 2011 is just days away now, so seems fitting that we will take a look at a few iOS 5 concept videos of new features and how to implement them. Some of these include improved speech recognition, faster switching between apps, widgets and much more. One thing we do know, we do not have long to see if any of these become a reality. 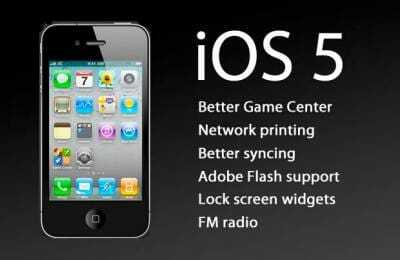 iPhone Hacks explains that Jan-Michael Cart hopes that even if these concepts do not make it to iOS 5, he does hope that it will spur developers or Apple to offer these features at a later date. All we can say is, he must be very confidant of his work. There are four videos in all, which we have embedded for you below. First up is Speech Recognition, which looks at how Apple could use a universal speech control to use more features that it does now. Tasks include navigating the phone to reading texts and emails. Next up is Fast App Switching, as we all know how slow it can be to go from one app to another. Thirdly we have Widgets, with possible designs being endless. Finally we have Push Notification System with a new notification area and new dynamic icons. All these videos are just dreams of one guy, but they look like ones that most of us would like to see implemented into the next iOS.